I've been considering dying my hair for a very long time. I wanted something bright and bold! So, I grabbed the color "Siren's Song" by Manic Panic. I thought that since I had majority grey hair that I could get away with slapping this on and getting a cute streaked look, but that was a fail. You could see the color a bit; a few people commented on it, but it wasn't what I was looking for. I wanted BOLD! PLEASE! I claim it. Cancer-free for life! 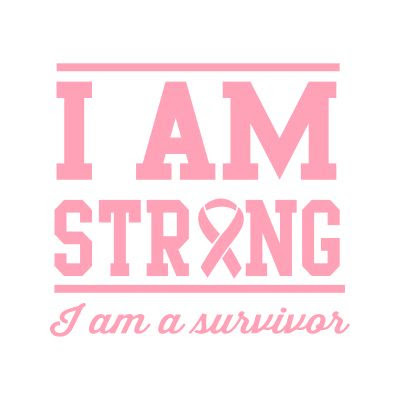 My double mastectomy went well on August 31, 2017. The pathology report revealed that the tumor was totally knocked out of the affected breast and there was just millimeters of cancer located in breast tissue close to the tumor bed. The unaffected breast had no traces of cancer at all and neither did the 2 lymph nodes removed from the underarm area on the affected side also had no sign of cancer cells!!! And then I got the reconstruction in December 2017. Awesome results courtesy of Dr. James Bruno in Chevy Chase, MD. If you are in the DC-area and would like a plastic surgeon for medical or maybe just for purely cosmetic reasons, visit Dr. Bruno. He has great bedside manner and is a true sculptor of the human body. I promise he would not disappoint. Recovery was great for all of the surgeries. The only thing I really have a complaint about is those drains after the mastectomy! I had 2 on each side for a few weeks. A true pain! Both physically and psychologically! So, really... What have I been up to? *Gracious sigh* I've been getting in tune with myself and the world. You know? Just living. Not stressing 'bout nothing. Meditating. Planning. Seriously planning this time. (lol) No more procrastinating and doubting. Just doing. And it feels really good. I'm really into photography and (fashion) styling. I've been doing a lot of both lately. I'm feeling great. And I'm working on a cancer-free diet and exercise regimen. I have plans on researching more into the effects of diet and exercise on cancer and hopefully assisting other fighters and survivors with living a healthier life without the worry of a recurrence of this horrible disease.